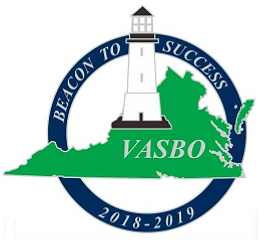 We are the Virginia Association of School Business Officials (VASBO), a statewide membership organization in Virginia for school business officials. Our mission is to promote the highest standards of school business practices for our membership through professional development, continuing education, networking and legislative impact. Conferences: We offer fall, winter, and spring conferences geared toward current events. We engage relevant speakers on topics that directly help you and your school division. We invite vendor representatives to provide you with information on services available to your school division. Networking: We offer opportunities to meet and network with other school divisions in your region and across the state. Several of our regions meet separately throughout the year to further share ideas and concerns. Continuing Education: We offer Continuing Professional Education credits for conference workshops. Legislative Updates: We are active in formulating and communicating our legislative platform annually. While you are here on the website today, please consider joining VASBO. You can pay your annual dues and sign-up for up­coming conferences and begin your new experience of learning with pro­fessionals that know your business better than any others!